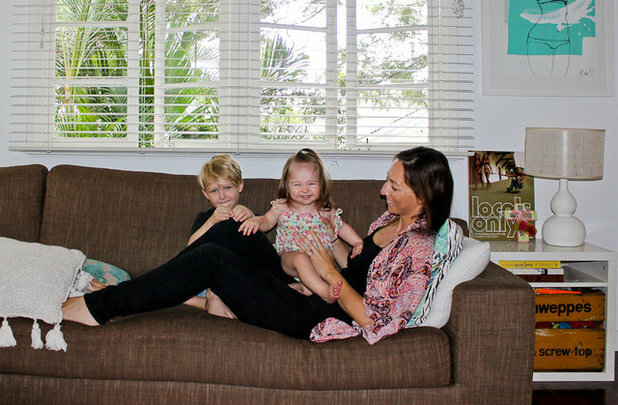 Houzz AU Contributor, design and architecture devotee and proud Brisbane resident! 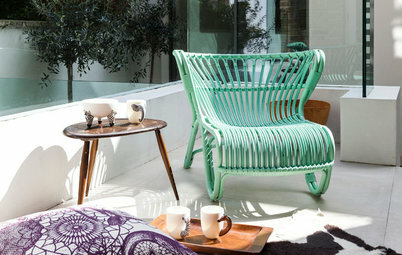 I am passionate about good design and incorporating it into all aspects of life. 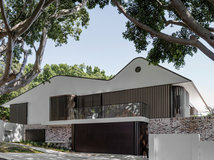 I love living in Brisbane and sharing the amazing homes we have here, especially the ones that are designed perfectly for our sub-tropical climate and outdoor lifestyle. In fact, this was a classic fixer-upper find. 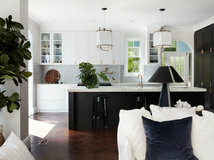 Couple Ruth and Tyson had big plans to transform the house into an open and relaxed space by making the most of the bones and renovating the kitchen, living spaces and deck, but the original idea was to renovate quickly and move on. Mother Nature, however, has a funny sense of timing. “Soon after we purchased the property, I found out I was pregnant – and we are still here five years later! We absolutely love it here,” Ruth says. 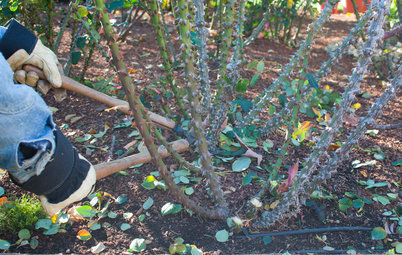 “When we bought this house, it was with the intention to get our hands dirty! It was pretty rundown and I think that turned a lot of people off, but we could see its potential,” says Ruth. 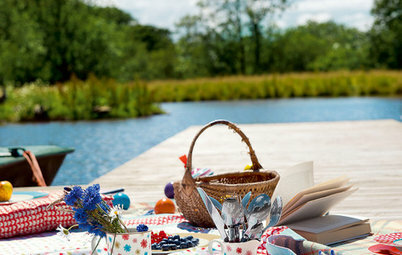 The couple dreamed of turning fleeting months of sun drenched days and balmy nights into an everyday reality. For this family, it’s a holiday at home, day after day, all year round. 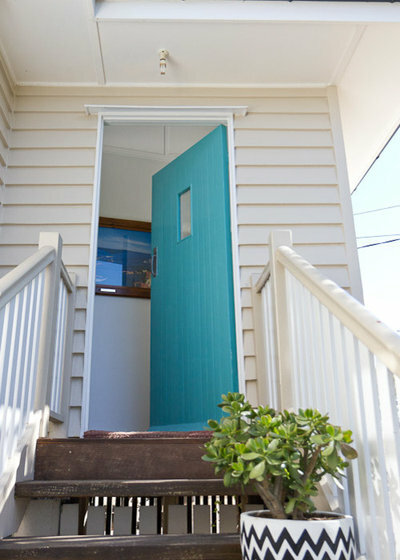 The stunning Porters Paint in ‘Nefertiti’ adorns the front door and sets the theme for what is to come behind the door. It’s perfectly accompanied by Dulux paint in ‘Self Destruct’ on the weatherboards and Dulux paint in ‘Charcoal’ on the trims. Just inside the front entry is a study, used mostly by Ruth as her space for creating felt garlands for her label, Felt Foxes. 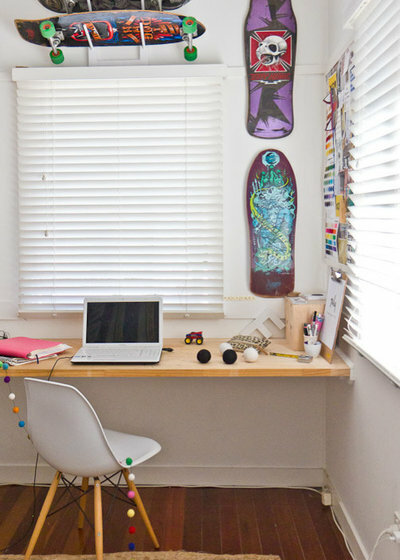 The room also houses Tyson’s prized skateboard collection, which add a ton of colour to the walls. “I work in here most days, so you can usually find me in a mess of colour and chaos,” says Ruth. One thing that attracted Ruth and Tyson to the home was its bones. “The house had a great layout so we were lucky that we didn’t have to change too much structurally,” Ruth recalls. Lucky for those great bones, because on top of them, there was bright green carpet, and a very off-putting kitchen … for anyone except the Neumanns, that is. “I don’t think it had been cleaned for a longtime. We stripped it out as soon as we moved in and cooked on our barbecue until we got our new kitchen,” says Ruth. Ruth’s style is a mix of new and vintage pieces. This simple glass top table with chrome legs was a secondhand find, and sits perfectly alongside the replica Eames Eiffel chairs from Matt Blatt. Framing children’s artwork always adds a personal touch to any home, and here, Ruth has opted to show her mini Picasso’s work in simple white frames. 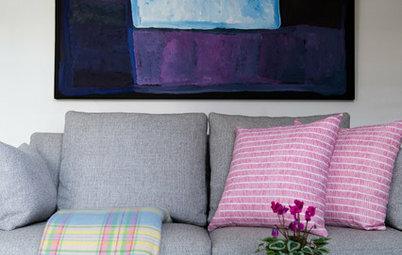 Choosing pieces that tie in with the colour scheme of your home is a great idea, too. 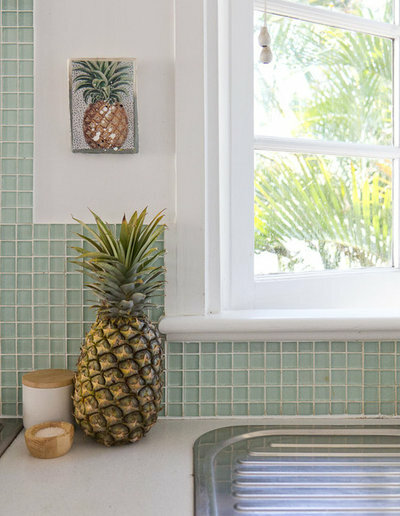 Glass mosaic tiles in the kitchen complement this beach style home, adding a soft splash of colour to break up the white space. 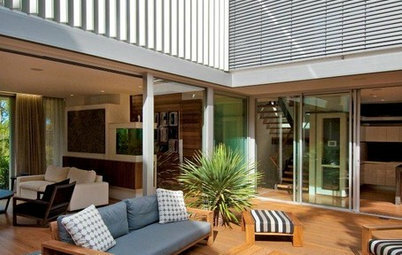 “Our house is simple in design, but that’s why we love it,” says Ruth. The new kitchen is compact and well appointed, so it’s handy to have this big armoire cabinet from Room for Living, for extra storage. 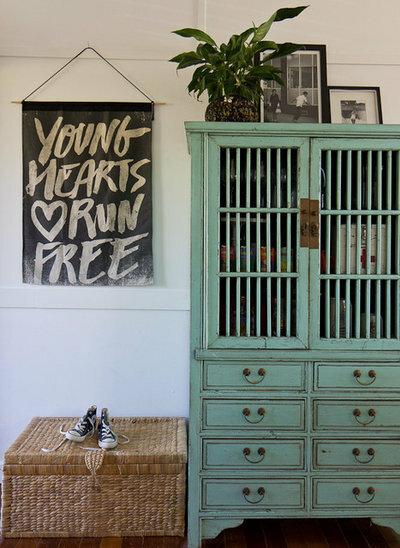 One of Ruth’s favourite pieces is the ‘Young Hearts’ wall hanging from Blacklist. 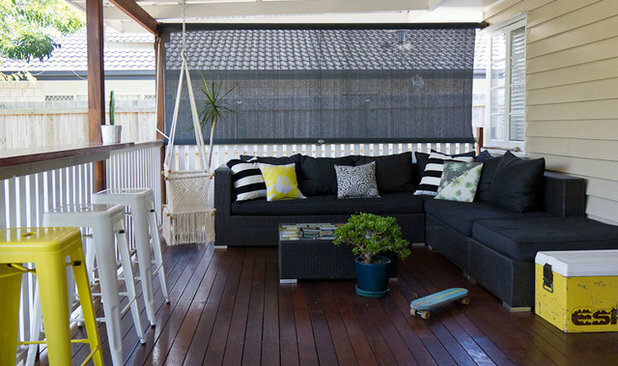 If you live in Queensland, or anywhere with a great climate, a back deck is a must! 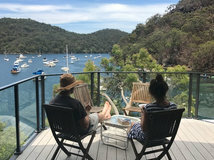 Ruth and Tyson were keen to add a deck onto their home and worked with local builder, Q1 Projects, who designed and built the deck. 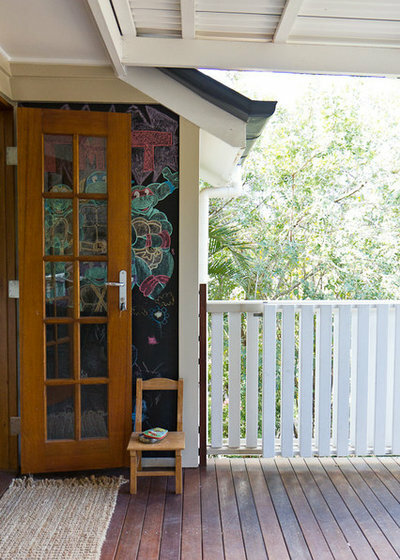 This blackboard wall for the kids to draw and create is a great way to get little ones outside and creative in the fresh air. 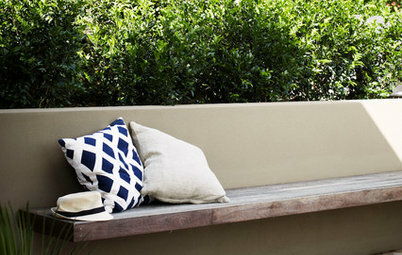 At the other end of the deck, Ruth and Tyson have created the perfect spot for some lounging around and entertaining. “Because it is a small home, having extra living space where we can entertain and the kids can play is great,” says Ruth. Little Willow loves the vintage style swing from Spell Designs, and she can play happily while Ruth and Tyson kick back on their outdoor lounge from Super Amart. Tyson also built a café style bar, which is perfect for this space and provides more options for entertaining and seating. 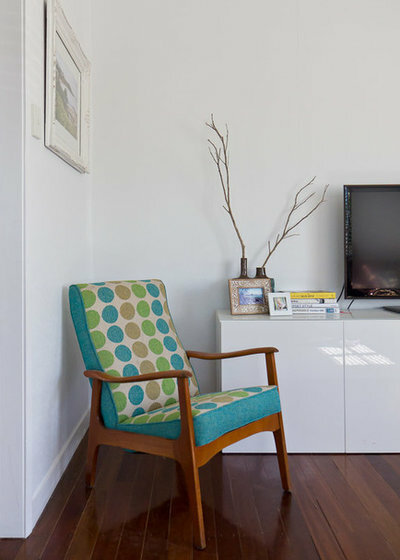 The cushions and retro esky add a pop of colour and fun to the space and are easily updated, if you wanted to change the look. Alfie the dog keeps watch over proceedings in the house from his cool vantage point. 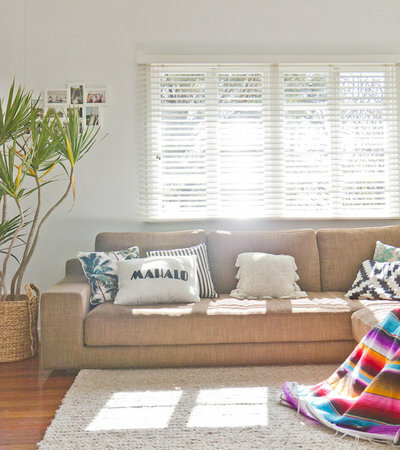 “We get gorgeous morning light and great afternoon breezes in the lounge room,” states Ruth. 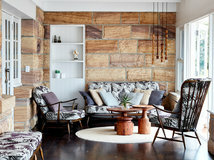 It’s easy to imagine taking a nap on the sun drenched lounge from Jardan, situated at the front of house. Tropical prints and Hawaiian nods add to the beach vibe. 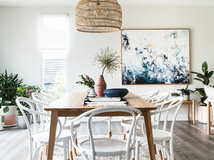 Their goal to create an open and laid-back space has been achieved, with the white walls with timber floors creating a blank canvas where Ruth can play and add her decorative touches. 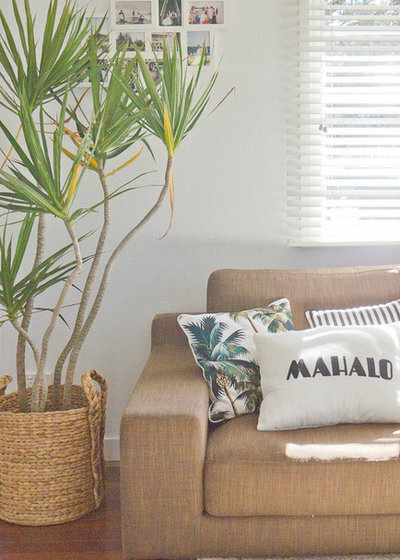 “I love the design philosophy ‘holiday at home’, and we have tried to create a relaxed coastal feel even though we are nowhere near the beach!” says Ruth. A cute little vintage wall cabinet shows off a growing collection of vintage West German pottery. 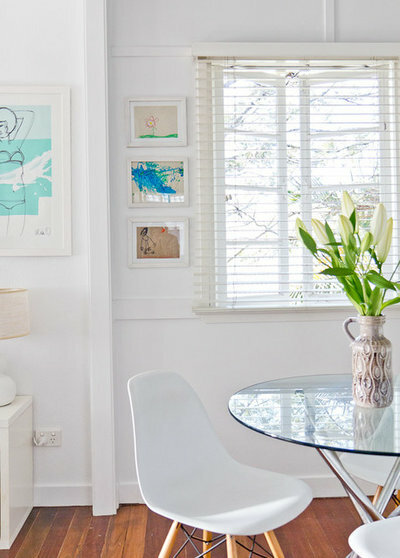 The ‘Sea Love’ print was an insert from Real Living magazine, which Ruth has framed. Ruth and Tyson had a limited budget for renovations, and wanted to do a lot of the work themselves. “Tyson is a professional painter so the first thing he did was paint the inside. 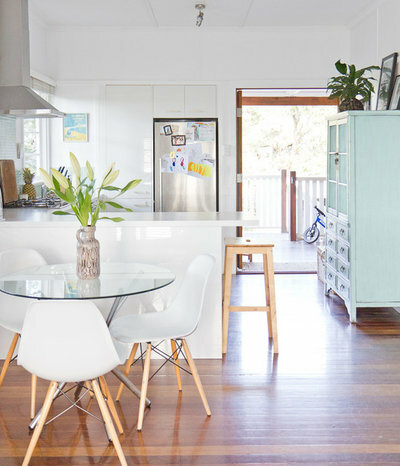 I love that a fresh coat of white paint can bring about so much change and make the place feel so light and bright,” says Ruth. 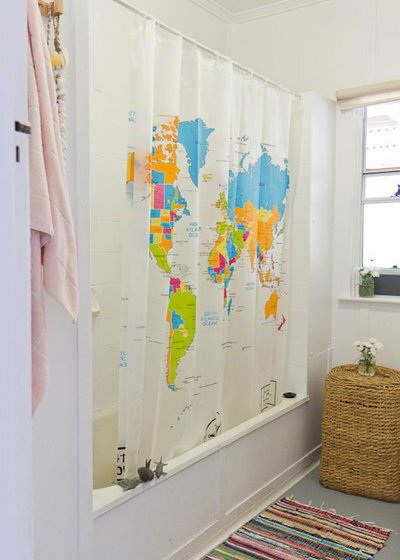 While Ruth is still waiting for her dream new bathroom, Tyson freshened the original one up with a lick of paint and added an eye-catching shower curtain to boot. 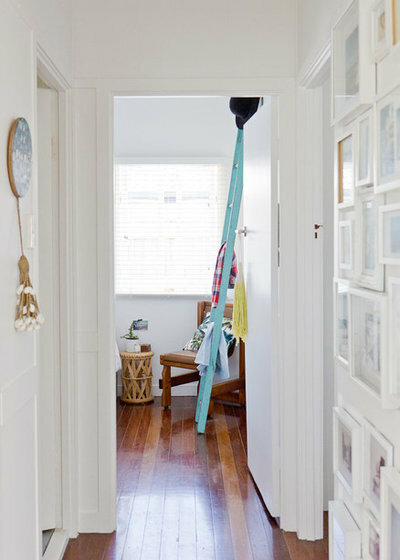 Crisp white paint helps the home feel bright and airy in every corner. Here in the hallway, Ruth has created a gallery by framing treasured photos in simple white frames. “Our home gets really lovely natural light and the bedrooms are bathed in the afternoon sun,” says Ruth. 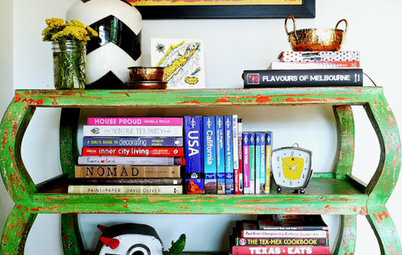 Old and new sit perfectly side by side, with the funky ‘Kiss My Neon’ poster adorning the same wall. 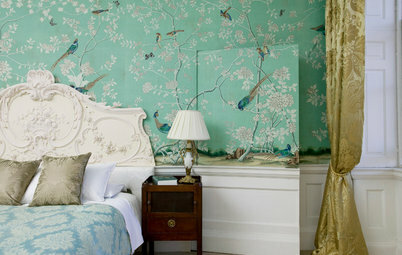 The floral skull cushion on the bed is by Ourlieu. 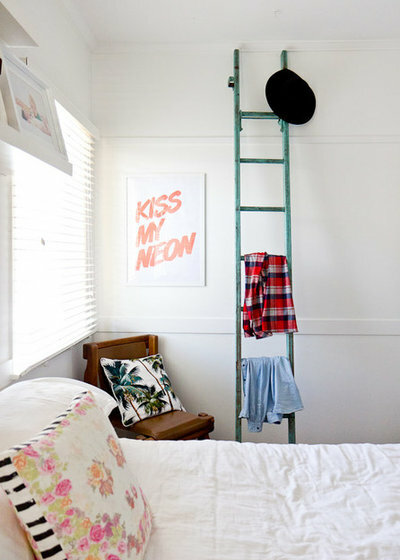 A vintage ladder from an antique shop in Ulmarra, New South Wales, is leant up against the wall. The relaxed, beach house vibes continue in the children’s room where Ruth has created space for kids to unwind and relax. 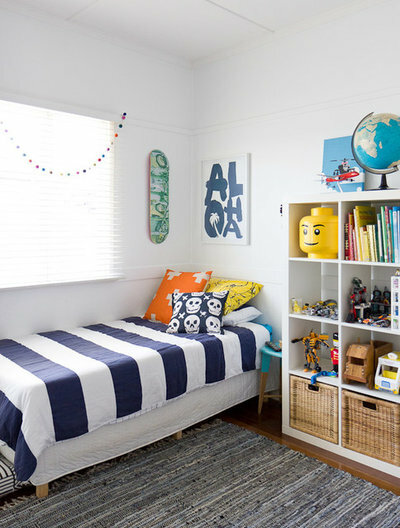 The children’s room in this home does not miss out when it comes to looking stylish. With a cute garland by Felt Foxes hanging across the window, little man Max’s corner is full of fun with a dash of whimsy. 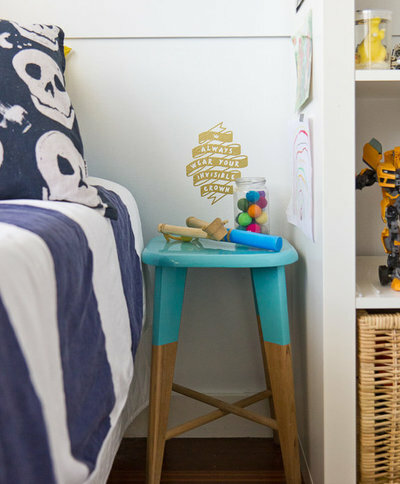 With a little vintage stool, painted by Tyson as a bedside table, this little super hero has the perfect spot to rest his sling shot. 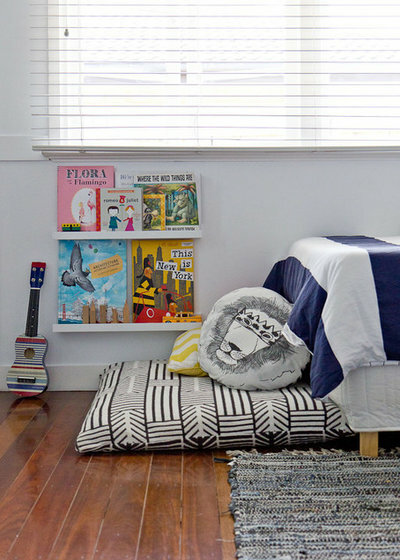 “I love the reading nook and having a comfy space where Max and I can read his favourite books together,” says Ruth. 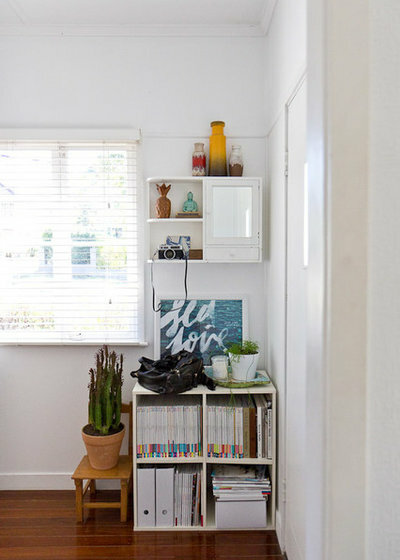 With the two children sharing a room, this IKEA shelving acts as a visual divider and allows a shared storage space for all of those special little trinkets. “Living in the house while we were renovating was great; we got to see it transform into a home as we made it our own with each change,” says Ruth. 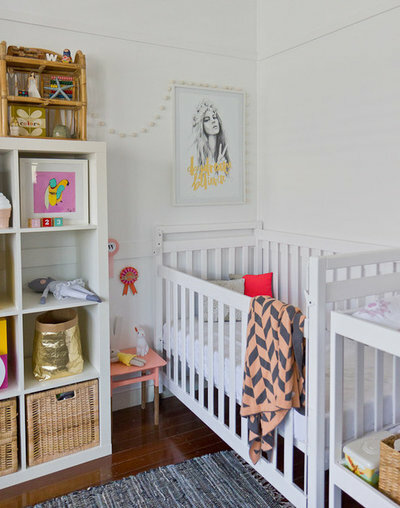 The pretty print above Willow’s cot is a Birdy & Me / Blacklist collaboration, Limited Edition. It is adorned with one of Ruth’s Felt Foxes garlands in soft colours. The Chevron throw is by Kate & Kate. Gold storage bags are from Uashmama. Ruth kicks back with kids Willow and Max. 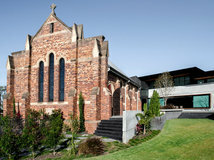 What do you like about the Neumann Family home? 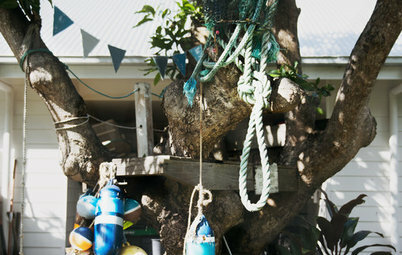 My Houzz is an ongoing series in which we visit and photograph creative, personality-filled homes in Australia and the people who inhabit them. 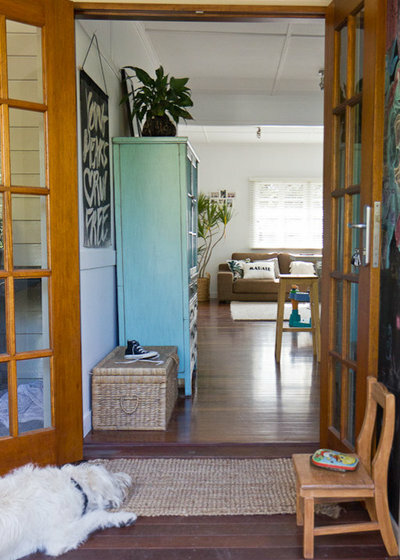 Share your home with us and see more inspiring projects.